← Hey, PeTA, Leave Those Pets Alone! I absolutely adore pugs. Next to German shepherds and Great Danes, they are my all-time favorite breed. 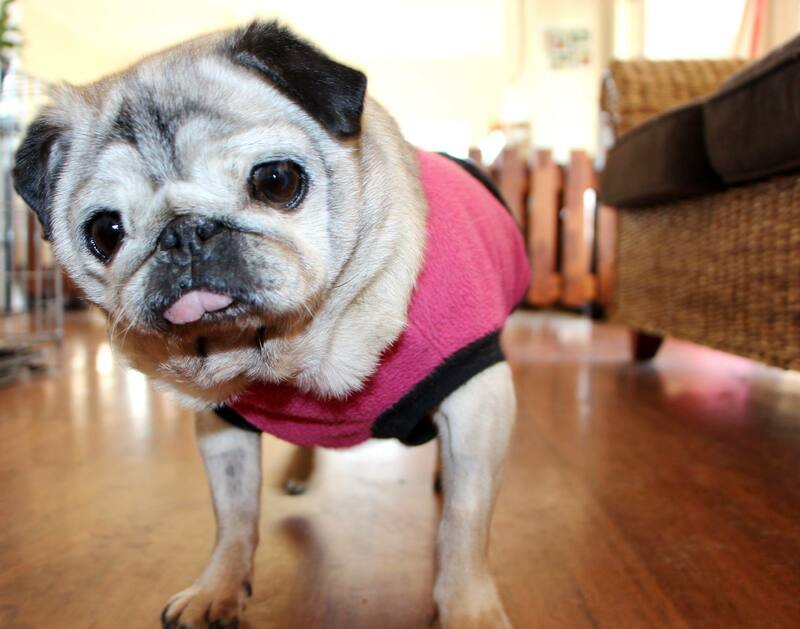 At the time I decided I wanted to get involved in dog rescue, I was living in another city that had one small rescue tasked with rescuing, rehabilitating and rehoming the area’s neglected, abused and abandoned pugs. I had long admired this amazing little organization, so when I heard that its founders were moving out-of-state and searching for volunteers to take over the rescue, I jumped at the chance to get involved. I imagined how rewarding it would be to use my writing skills to help homeless pugs find loving families where they would be adored and cherished as much as my pug, Gizmo, was (and still is). I remember showing up at that first meeting, so excited to be a part of something so meaningful and knowing exactly how I could best be of service – I would write and edit their quarterly newsletter. About two-dozen people were in attendance, all pug lovers like me who were passionate about seeing the rescue continue. Sitting in a large circle with snacks in our laps and drinks in our hands, we made quick work of getting down to business and in less than two hours had elected nine new board members, signed up several foster homes and had a newsletter team in place, the latter consisting of two other women and myself. As I walked away from the meeting I felt positive and hopeful that my skills would be useful and appreciated. While I thought I had made it abundantly clear to the rescue’s leadership that working on the newsletter was all I could offer, as I had a husband, four dogs and two jobs taking up the lion’s share of my time and energy, within weeks that boundary began to crumble. Things at the organization quickly became complicated as our initially robust group of enthusiastic volunteers dwindled to just 12 core members and a handful of fosters. As a result, the group was having a hard time managing the deluge of homeless and often sick or injured dogs in desperate need of transportation, veterinary care and placement. Wanting very much to help my new rescue colleagues through this tough period, I agreed to fill in the gaps and do whatever I could with what limited time I had, hoping that once the dust settled and more volunteers came on board I could go back to concentrating solely on the newsletter. But weeks soon turned into months, and any free time I could spare continued to be spent picking up and dropping off pugs, reviewing adoption applications, conducting pre-adoption home checks, attending rescue meetings and assisting at adoption events, not to mention helping out with our annual Halloween pug costume party, the rescue’s biggest fundraising effort. Mind you, I’m not complaining, as much of what I experienced that first year was very worthwhile and rewarding. While there were plenty of upsetting moments, like witnessing the callous indifference of people and their lame excuses for surrendering their dogs – moving, having a baby, behavioral problems – the experiences I had and the lessons I learned were incredibly enlightening and valuable. It felt amazing to be able to deliver a sweet little pug to his forever home, seeing him welcomed by his new family and knowing that formerly abused or abandoned dog was destined for a wonderful life – I wouldn’t trade those memories for anything in the world. Yet as time passed I found myself stuck in a sort of “rescue vortex” from which I didn’t feel justified dislodging myself. No, I wasn’t doing nearly as much as my other rescue colleagues were – some of them lived and breathed pug rescue – but my home life was already strained and here I was running off to help other dogs when my own pups weren’t getting enough of my attention. While I knew the rescue needed me, I also knew that something had to give, and soon. But instead of finding a way to cut back on my volunteer time and return to my original intention, I began to feel greater pressure to give more of myself while at the same time feeling like no matter what I did, it simply wasn’t enough. I had only been volunteering with the rescue for over a year and was already feeling burned out. I was so discouraged, as I thought volunteering with a rescue was supposed to be about helping dogs in-need, not about fitting in with a clique, pleasing people or going along with pack-mentality politics. No, I wasn’t a martyr and I never would be – I wasn’t like some of my rescue colleagues who seemed to take pride in bragging about how stressed, exhausted and over-extended they were rescuing pugs. While helping dogs was indeed important, I believed my life should come first. And I certainly couldn’t remember the last time I had felt any sense of gratitude from anyone in the group for what I was contributing, be it insufficient in their eyes. So I began to say no. And that’s when things started to go south. I won’t bore you with the rest of the story – suffice it to say that my relationship with the pug rescue came to a close just a few months later and that our parting of ways wasn’t a happy one. I get it that I had been the weakest spoke in their wheel, that the rescue was small, understaffed and overwhelmed with dogs, and that the group needed core members willing and able to give more of their time, energy and passion to keeping the organization afloat. I had set myself up to fail by not speaking up, reasserting my boundaries and sticking to them. Being “nice” had backfired on me. 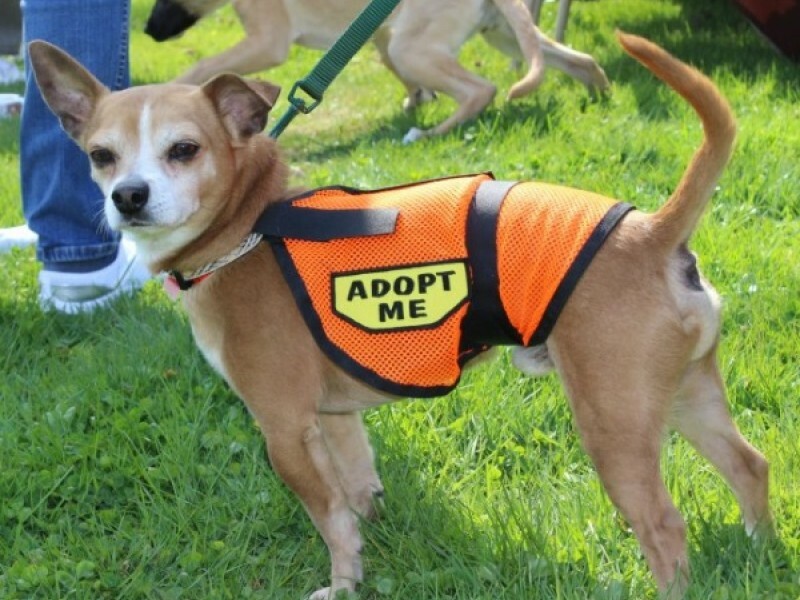 Instead of the rewarding experience I had hoped it would be, my first volunteer effort with a dog rescue left me feeling unappreciated, slighted, used and discarded. 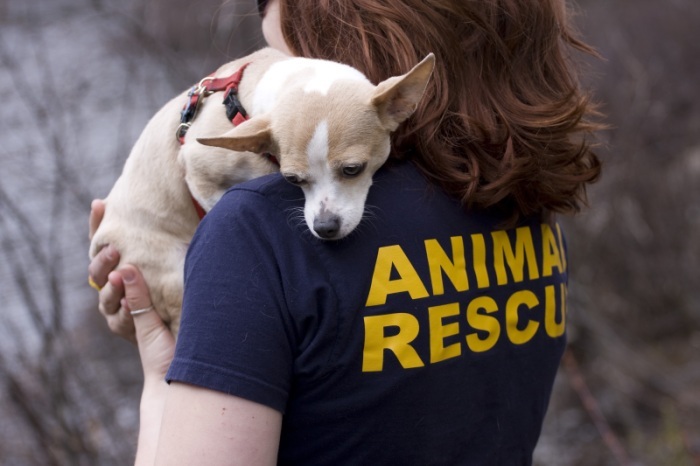 While it took almost seven years for me to want to get involved with rescue again, I didn’t let that first negative experience derail my passion for helping animals. Since then I have volunteered with a couple of groups and through trial and error believe I now know the difference between a legitimate, professional, well-organized rescue that deserves my freely given time and energy, and one I should avoid at all costs. Animal rescue organizations are run by humans, humans have egos and often those egos get in the way of what those individuals are supposed to be doing – helping animals. From narcissists and martyrs to hoarders and control freaks, the animal rescue world does indeed attract its fair share of very “colorful” folks, particularly women with strong and emotional personalities. 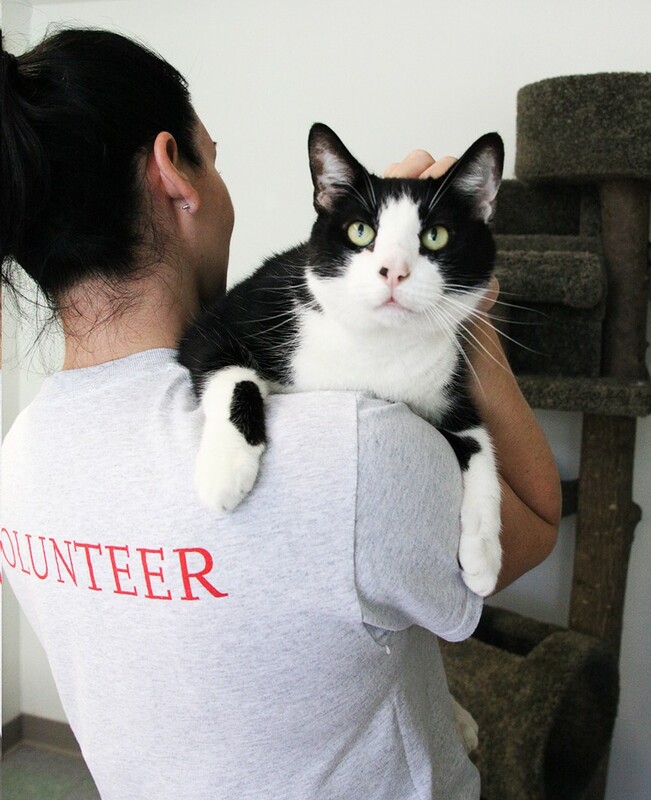 But while there are certainly plenty of groups to steer clear of, there are also myriad rescue organizations made up of wonderful individuals who always put the animals first and understand the incredible value of good volunteers. So while my story can serve as a cautionary tale for what not to do when volunteering with a rescue, it’s not meant to dissuade anyone from getting involved in such a rewarding and worthwhile effort. Do your homework: Unfortunately, the non-profit world is full of scammers who will take full advantage of your generosity if you let them, so make sure you do your due-diligence and research the organization before getting involved. Make sure the group is a 501(c)(3), which means it has been approved by the IRS as a tax-exempt, charitable organization. While this doesn’t guarantee the group’s leadership is well-intentioned, it at least demonstrates that they were serious enough to undergo the extensive amount of paperwork and waiting time necessary to attain official nonprofit status. Next, check out the group’s website and do an Internet search to see what has been written about them. How long has the rescue been around and how many people are involved? Does the group have a Facebook page, and if so, what are they posting and how many “friends” do they have? Lastly, talk to someone who has worked with the rescue and ask plenty of questions, including, what are the group’s adoption procedures and are they in-line with those of other successful rescues? All good rescues will usually follow the same best practices, so make sure the rescue you’re interested in is following them, as well. Does the rescue provide training and/or supplies and is there a network of fellow rescuers you can rely on for support? If you’re interested in fostering, ask about their pre-screening procedures and how they handle any emergency situations. Information like this will give you a clearer picture of whether the group is run like a business or a fly-by-the-seat-of-your-pants kind of operation. Consider your commitment level: How much time you can devote to your chosen rescue group will depend on your lifestyle, so think about how many hours per week or month you’ll be able to commit. Responsible, reliable volunteers are a boon for any rescue group, so set yourself up to succeed by being clear about what you can or can’t do and stick to your boundaries. It’s always a good idea to start off small and see how you do rather than jumping in full-tilt and risk becoming overwhelmed, so consider sticking a toe in the water rather than swan diving into rescue. Decide if it’s a good fit: Your time and energy are valuable, so it’s important to select a rescue group that reflects your values, is made up of people you feel comfortable with, and is appreciative of your efforts. Notice, what is the overall “energy” of the group? Is it warm and friendly or does the dynamic feel cliquey like high school? Does the group express gratitude for what you’re able to offer or do you feel pressured to do more? Does the group work to resolve conflicts productively and diplomatically or are its members prone to petty arguments, gossip and backstabbing behavior? 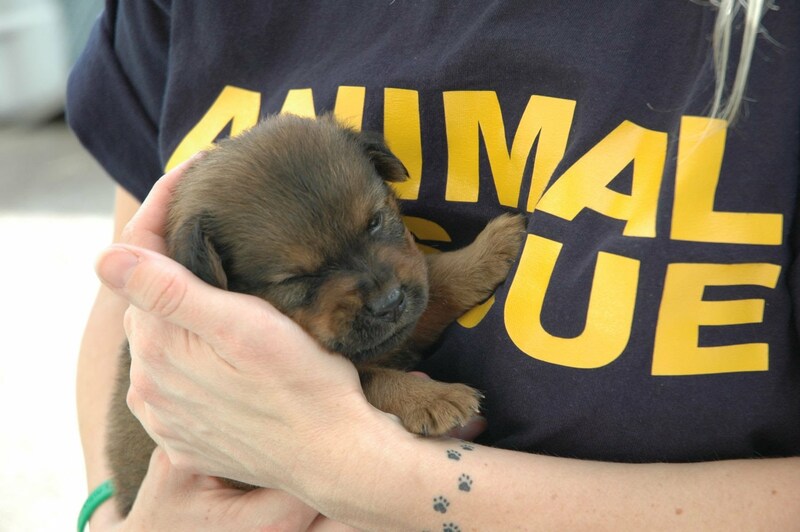 All that does is take the focus away from what the rescue is supposed to be doing – helping animals. So even if the group just “feels” wrong, don’t hesitate to walk away and look for another opportunity, one where your blood, sweat and tears will be better spent. I’m glad I didn’t let my negative experience with the pug rescue derail me from helping animals indefinitely. If anything, it only helped me identify what to look for and what to avoid in a group, while strengthening my resolve to find that perfect fit. Thanks to that hard but important lesson several years ago, I finally found a rescue group I enjoy working with whenever I have a chance, one that appreciates what I’m able to offer and whose philosophy aligns with my values. Best of all, I’ve met the most amazing, like-minded people, some who have even become great new friends. Volunteering with an animal rescue is so worth it. Imagine how many animals we could help if everyone did their part to pitch in and make a difference. What a better, more humane world that would be! This entry was tagged animal welfare, dog adoption, dog rescue, pet rescue. Bookmark the permalink. Thank you for this. I’m disentangling myself from a bad rescue experience now and your words are extremely helpful. It lets me know I’m not alone in this, I’m not a horribly flawed person, and that my instincts can be trusted. You’ve also made me hopeful that I might find another group out there that will be a good fit.